Sometimes it is really not like you can choose the right gym. You either opt for the nearest gym or for the one where your friends or partner go, and that’s it. But if you have the luxury that you are not constricted by the location nor company (even though they still remain important factors), and you have a clear picture what you need from a gym, then you are one lucky person. So, if you are looking for a fitness gym in Palm Desert, you may get a lot of options, but you will ultimately end up picking just one. In that case, you should check your priorities and look for a place that matches your preferences. Whether you value flexible hours, variety of the offer or the top professional trainers, there is certainly a place for you. Of course, some gyms have all of that, which is ideal, but if you still wish to look further, here’s what to pay attention to when you’re trying to choose the right gym for you. Except for the location, this is one of the key factors that decide people’s choice of a gym. With today’s way of life and super busy schedules, gyms that have flexible and long work time, like World Gym, are highly valued. Some gyms go as far as being open 24h, which is caters to night owls and busy people alike. In that case, one of the factors to consider (except your free time, of course) is what time is the busiest at a certain facility. Most people prefer to go to the gym when it’s not crowded, and if that’s the case with you, check when the best time is and try to squeeze in your training then. Of course, if you prefer company, sharing experiences and mingling, that you’ll probably easily hop in the busiest period of the day. Some gyms tend to cost more, because they offer more; that’s just a fact. However, here I’m not talking just about the total amount, which is important as well, of course. But you should focus more on the ratio between the money you need to pay and the service you get in return. In other words, what does that price include? So try to find the best offer depending on your preferences. Some gyms offer a limited time of use and a limited set of programs for a certain, usually lower price, which is fine if you have a flexible schedule and can fit into the activities offered. But if you never know when you’ll find the time to hit the gym or have a preference for a certain program that is not in the basic offer, then you should consider paying a bit more, but getting a lot more in return as well. Yes, this can really be a decisive factor, just like in any other sector. The gym may be greatly equipped, have super flexible hours, good prices and all. But if the staff are not up to the task, chances are you will go somewhere else. For many people, it is quite important to feel comfortable and relaxed at the gym. Also, it is often crucial to be able to get all the info you need, from things like prices and working hours to advice about the exercise and diet program. Not to mention personal trainers, who can often bring a lot of people to a certain gym, just because everyone wants to exercise with them. Or on the other hand, make people leave if they’re not doing their job right. This is one of the most common reasons I have heard for changing the gym. Nobody wants to come to a smelly, stinky and sticky place to exercise. Gyms should help you improve your health, not risk it. 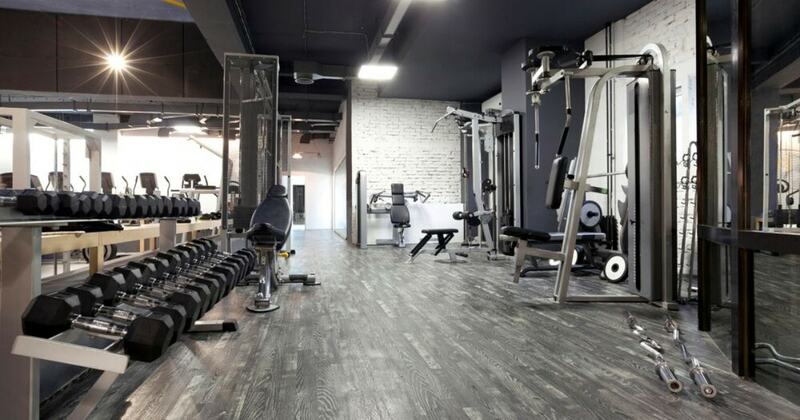 Feeling comfortable in a gym also means having clean locker rooms, clean equipment, clean, well-aired exercise rooms, not to mention showers and toilets. So when you come to a gym to ask about the conditions, try to peep in and make sure the good price they’re offering includes decent facilities as well. These are the general aspects you should take in account when trying to choose the right gym for you. There might be numerous other personal aspects, so don’t forget about them either when choosing a new gym.